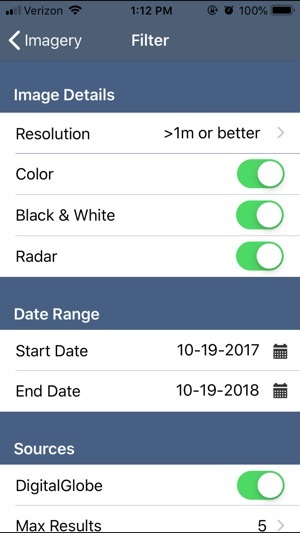 Introducing SpyMeSat, the first app to provide the public with full awareness and access to commercial and unclassified imaging satellites. 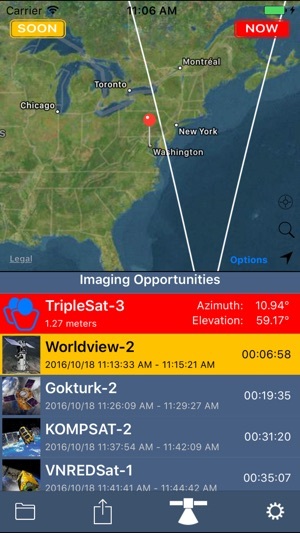 SpyMeSat provides real-time imaging satellite overflight notifications, on-demand access to recent high resolution satellite images, and the ability to request an imaging satellite take a new picture just for you! 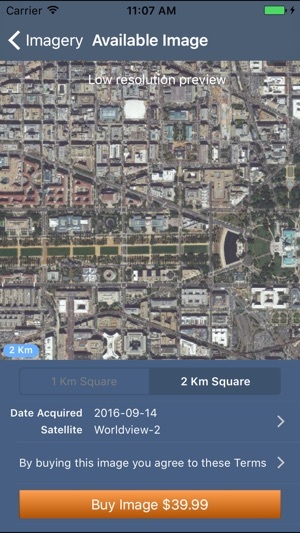 SpyMeSat provides easy access to satellite imagery to the public for the first time and makes satellite imagery more readily available to industry and government. 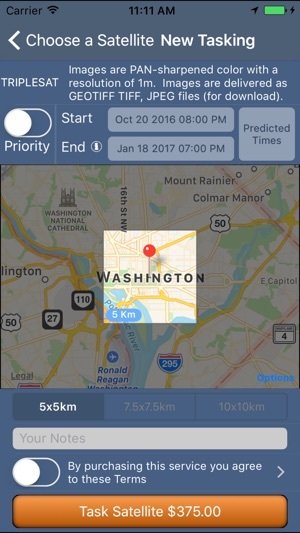 Features of the SpyMeSat mobile app are protected by U.S. Patents 9344994 and 9779301. 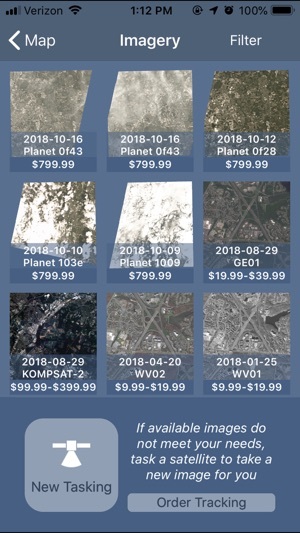 Interface now supports foreign currencies, KOMPSAT archive imagery pricing have changed and the security certificate has been updated. 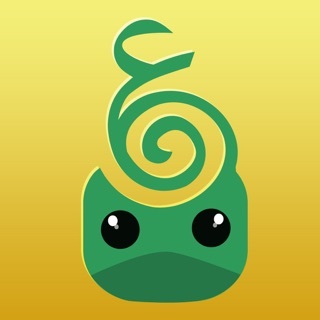 SpyMeSat has been amazing for looking at remote locations after all of the recent disasters! It's so handy to be able to bring up the before and after photos. It's incredible that you can get pictures from almost every day. 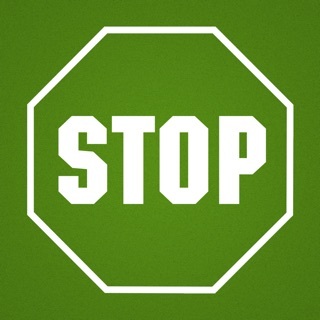 Phenomenal App! 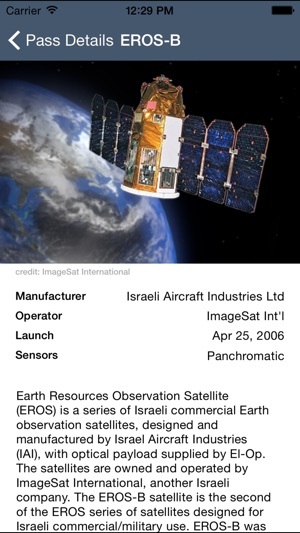 I love the cool feature of on-demand satellite imagery and getting notifications of when satellites are taking my picture and how I can get a detailed description of it. Awesome idea!